Mexico’s Hector launches his new label 'VL' with 'Vatos Locos Forever' - a vinyl and digital package featuring 10 cuts from all founding Vatos Locos crew members. The label collaboration follows Hector's Vatos Locos parties, which he launched at the 2015 BPM Festival, and have since toured places like Off Sonar Barcelona and Club Der Visionaere Berlin. 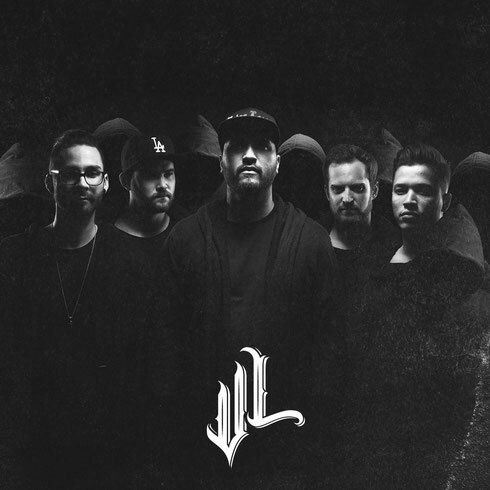 The official ‘VL’ label launch party will take place at the homecoming on 17 January at the 2016 BPM Festival. Hector’s driving force behind this project is the understanding that he has a solid crew around him who share the same dream in equal measures. Vatos Locos (loosely translated as ‘crazy dudes’) is about "no egos, just the love of the music". Hector started his musical journey at the age of 22 working London’s Phonica Records store in Soho. This lead him to meet his mentors and now peers who helped put him on the starting block by believing in him, and nurturing him as a young DJ/producer. Through ‘VL’ he is able to do the same and expose artists he sees talent in, whilst also creating an avenue for his own productions. ‘VL’ is also an opportunity for him get fully behind the vinyl culture that is such an important factor of releasing music to him. Hector: "Working at Phonica in my early years and coming from a vinyl background, the most important thing for me in this industry is to be able to get the music heard in the way I feel most comfortable with. To have your own label and have total control over this is paramount for me. This is something that started organically and has developed naturally thanks to having a good crew who are all in it for the right reasons, no egos, just quality music and events. These guys are refreshingly talented and we all share the same vision, and I cannot wait for you to all hear the first release." 2015 has apparently been one of Hector's busiest to date. As well as a touring schedule with appearances at events worldwide, he has also shown consistency in the studio with a flow of releases and remixes for vinyl focused labels; Serkal, Moan, Overall Music, Spartacus and Mindblown. That aside, his biggest achievement was the residency at Marco Carola's Music On through the summer at Amnesia. Debut release ‘Vatos Locos Forever’ is spread over 10 tracks that present the versatility of this new wave of underground talent and Vatos Locos core crew members; Chad Andrew, David Gtronic, Groovesh, Hanfry Martinez, Javier Carballo, Jamie Lie A Kwie, Pinto, Randall M, Sece and Hector. To round off the digital package Hector has also compiled a mix of all 10 tracks.